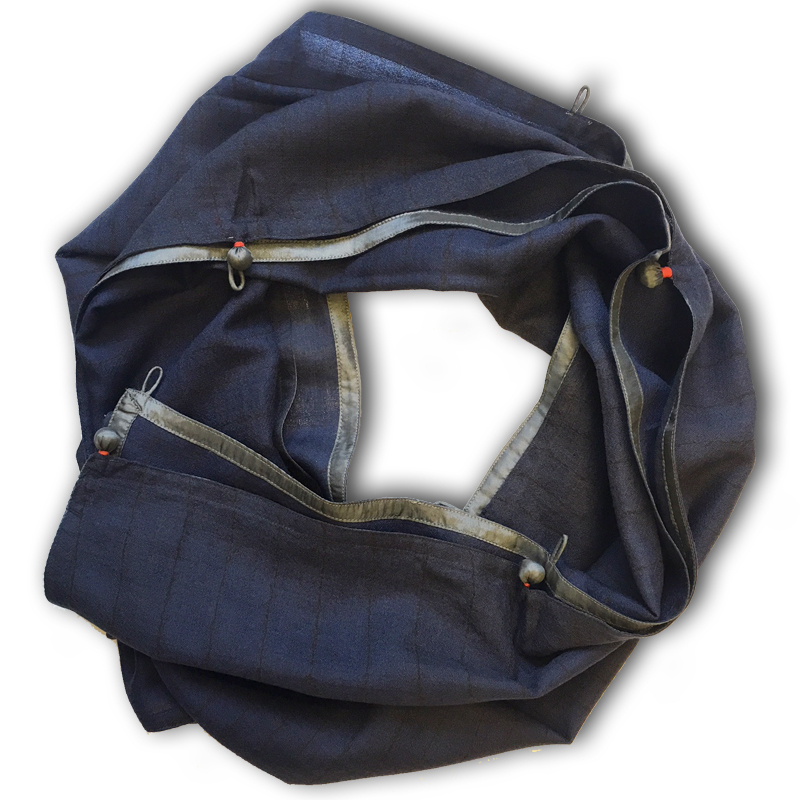 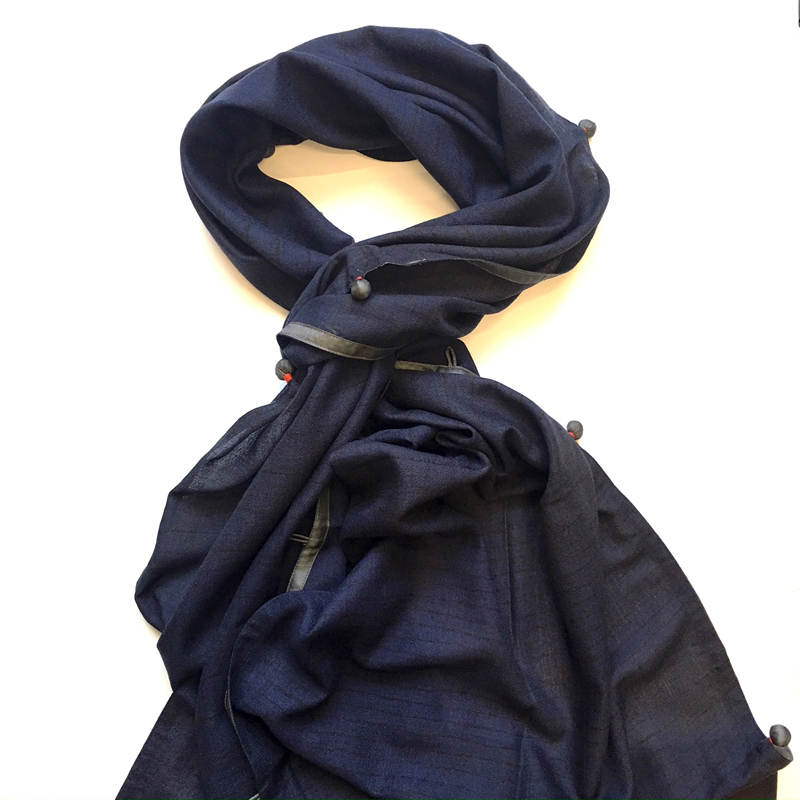 Fulham fine wool scarf is hand-dyed in a deep navy, almost an ink blue on a beautiful fine wool and comes with grey silk buttons on the sides balancing the ink. 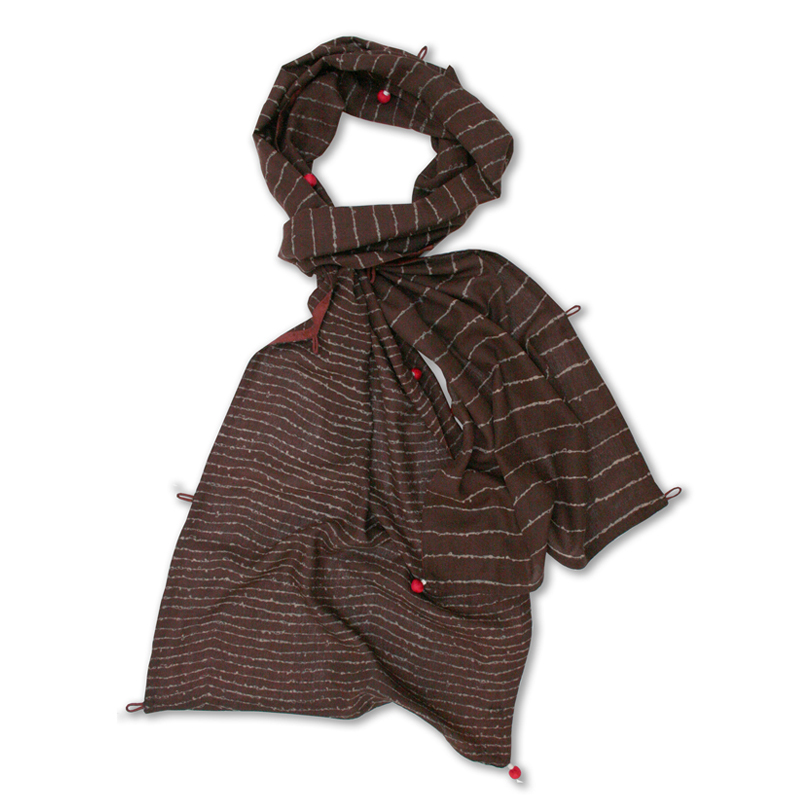 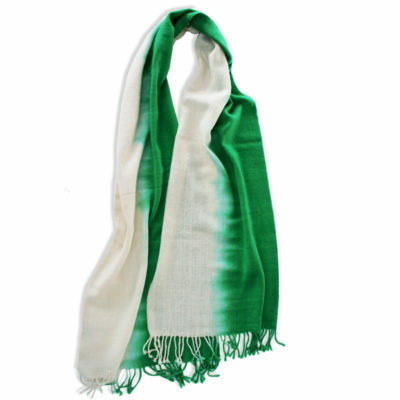 It is designed to keep you looking stylish while staying warm. 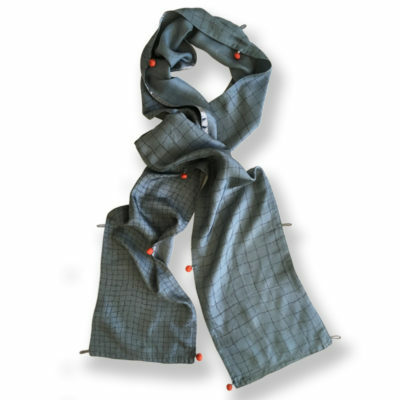 Style it in different ways linking the buttons and wear it in bespoke drapes.